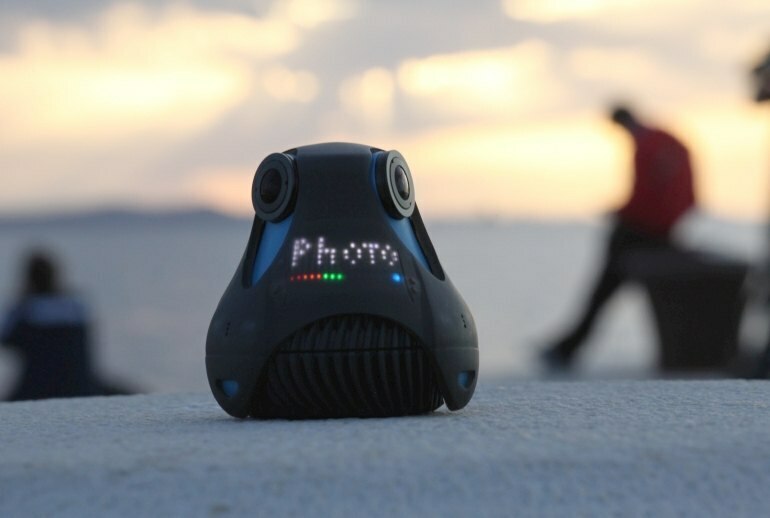 The 360cam can be used for time-lapse videos, live streams, and security footage. It can drop to the bottom of a swimming pool without breaking. The built-in Wi-Fi makes it possible to monitor an area from a distance and upload videos using a smart phone. Instead of a screen, there is an LED text-only display, which is hard to read in the sunlight. It can only record continuous video for a maximum of one hour. Live streaming requires an optional attachment. 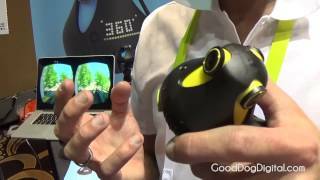 Giroptic’s 360cam records omnidirectional videos by stitching together images and sound from three sensors and three microphones. 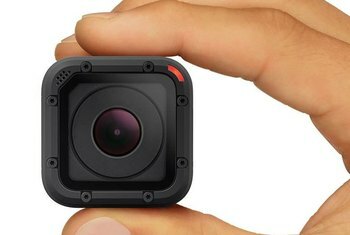 The videos are a little flat and the 30 frame-per-second recording speed isn’t quite up to par, making it fun and gimmicky but not exactly useful. A built-in gyroscope and accelerometer keep the image level and minimize blur. 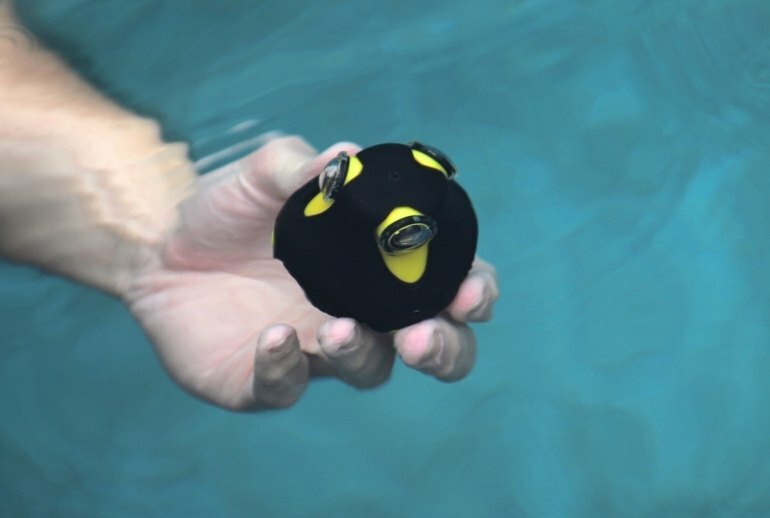 It can safely travel 30 feet underwater, and it’s not easy to break by accident. 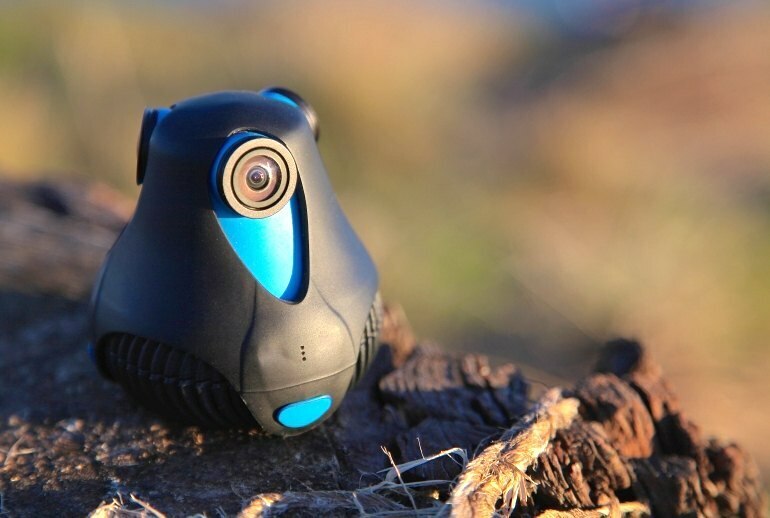 The 360cam can film for up to one hour straight, or be left on for about a day to make a time-lapse video. Still, one of the nice things about Giroptic's camera is that it stitches the three video images and makes them ready for YouTube right in the camera itself. It felt as close to being there as is currently possible, walking with them through that town. Unfortunately, wirelessly transferring videos takes a good amount of time, so in most cases it just makes more sense to transfer your videos to your desktop and upload them to Facebook or YouTube from there. 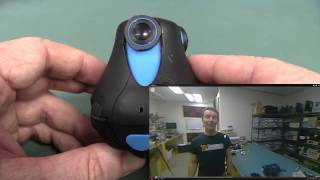 That said, other sample videos released by Giroptic don't look as good as this one did, and image quality is definitely the 360cam's biggest shortcoming. One common theme with all of these 360° cameras is the weak battery life, generally 2 hours max. It works for concerts, events like E3 and Comic Con, skydiving, scuba diving, and heck, it can even act as a security camera by plugging it into an open light bulb socket. 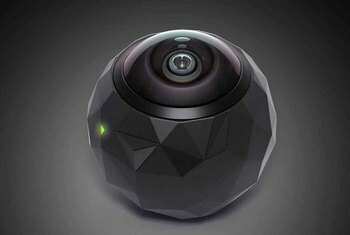 The 360cam isn't just small enough to go anywhere; it's almost endlessly versatile and useful. 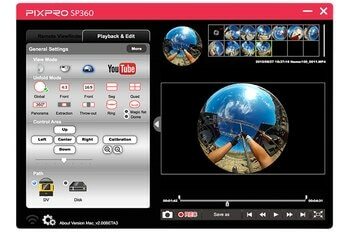 Until now, if you wanted to create this kind of footage you’d have to strap together several cameras (usually GoPro action cams) and then use some clever software to stitch their footage together – a process that typically takes a long time, and usually leaves imperfections where the images from each camera are glued together.